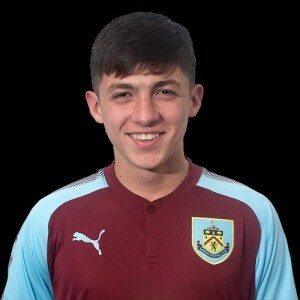 The young Clarets are back in action tomorrow in the U18 Professional Development League and next up for the league leaders are Crewe Alexandra who are currently bottom of the table. That certainly doesn’t mean we are set for an easy morning, not by any means. In the away game against Crewe on the first Saturday in November we were hammered 5-1 with our consolation goal scored by Bobby Thomas (pictured). That result too Crewe above us on goal difference at the time, and they had a game in hand. They were seventh in the eleven team league; we were eighth. Since that game, Crewe have picked up just four more points from six games and have slumped to the bottom of the league; we, meanwhile, have had the best run of all teams in the league with five wins and last week’s draw taking our points total to 33. Following the Crewe defeat, November was completed, league wise, with wins against Sheffield United, Nottingham Forest and Leeds, then, after a blank December, we’ve beaten Bolton and Birmingham in January before last week’s draw against Huddersfield.